This is the moment a leopard stalking its prey in the bushes is caught off guard when a fellow big cat pounces on it from behind. 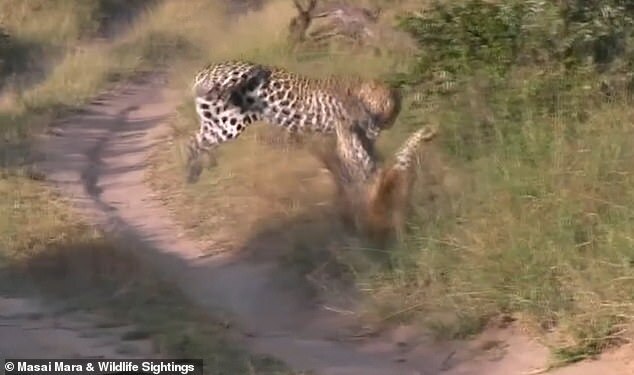 The prowling animal became the prey itself when it strayed into another leopard’s territory in footage believed to have been filmed in the Kruger National Park in South Africa. 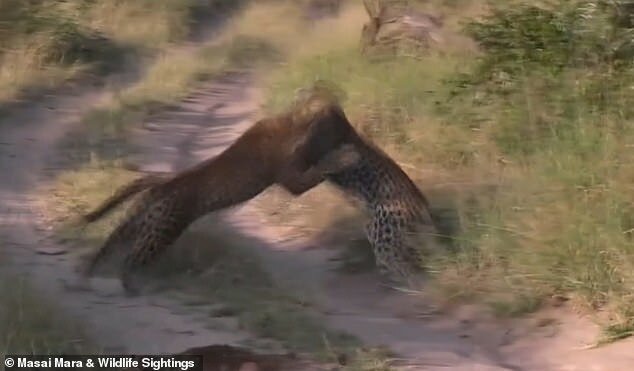 After sneaking up on the distracted leopard, the second animal pounces but is flung to the ground. The attacking leopard then chases its rival through the bushes. At the start of the clip one of the leopards is seen prowling its territory, looking around for prey or animals invading its territory. The view then switches to a track of dirt, where a young leopard has his eyes on the nearby bushes as he stalks an impala herd. Concentrating on its prey, it does not see the second leopard standing on all fours a few yards behind it. 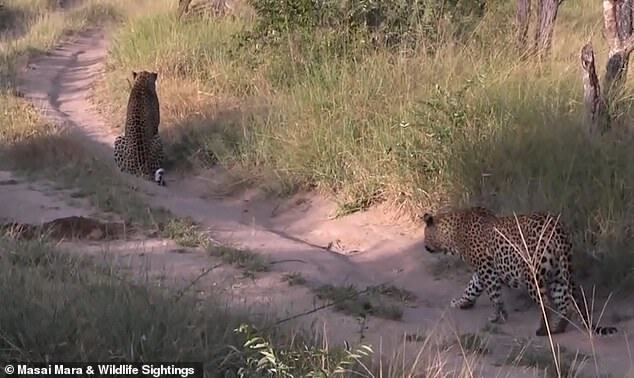 The second leopard initially remains still, then takes slow and careful steps towards its rival, stopping abruptly when it fears it is about to be noticed. It moves round the back of the other leopard before it is finally spotted, prompting the surprised animal to bare its teeth as the attacking animal leaps to attack. 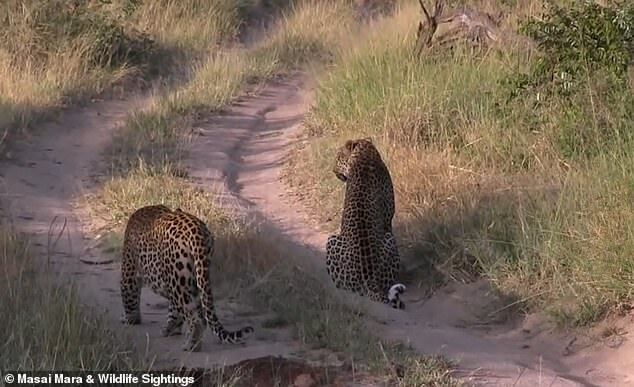 The territorial leopard leaps at its fellow big cat but is the first to hit the ground as the two animals spin around. The leopard who had been stalking the impala makes a run for it after fending off the initial attack, with the other big cat in pursuit. Leopards are the smallest of the big cats, but are able to sprint to speeds of up to 40mph. When hunting, leopards use the available camouflage to sneak slowly up on their prey – which can be anything from a dung beetle to a small giraffe – and pounce.